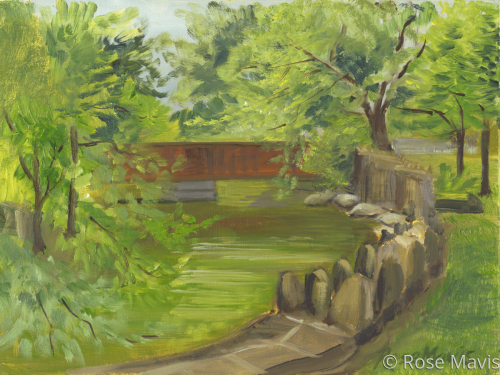 A plein air oil of a local park in downtown Bethlehem, PA. 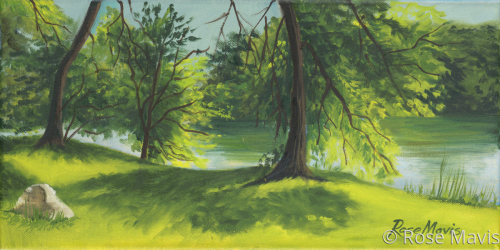 Looking in the northern direction. 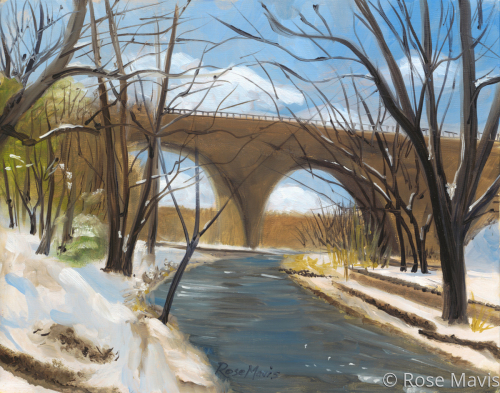 A winter scene of the Monocacy creek in Bethlehem PA in its full winter glory. 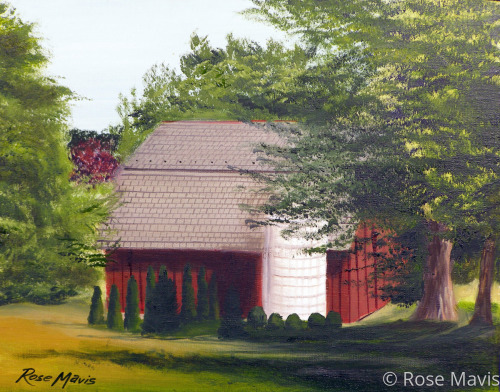 Oil Painting of a Nazareth Barn with lush foliage surrounding the area. 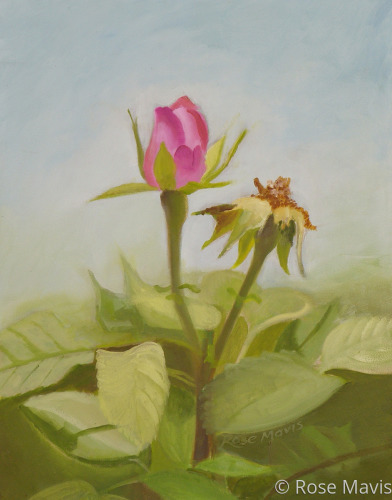 5" x 6.25"8" x 10.25"11" x 14"
An oil on panel of both the rosebud and its nearby rose bud at the end of its lifecycle.